The United States has decided to supply state-of-the-art military equipment to Ukraine. The Donald Trump’s government states that its assistance is entirely defensive in nature and the arms will be used for defense purposes only to help Ukraine defend its territorial integrity. The Russian Government’s reaction to this official statement was negative. The U.S. wants to provide the Ukrainian armed forces with modern military equipment. The decision became public on 20 December 2017. Arms supplies should help Ukraine defend its sovereignty and territorial integrity and “deter further aggression,” the U.S. State Department said. The U.S. aid is “entirely defensive in nature”. Moreover, the U.S. remains committed to the Minsk peace plan, State Department spokeswoman Heather Nauert said. According to a report by the U.S. broadcaster ABC, the military equipment supplies will consist of 210 anti-tank missiles worth USD 47 million (EUR 39.6 million). 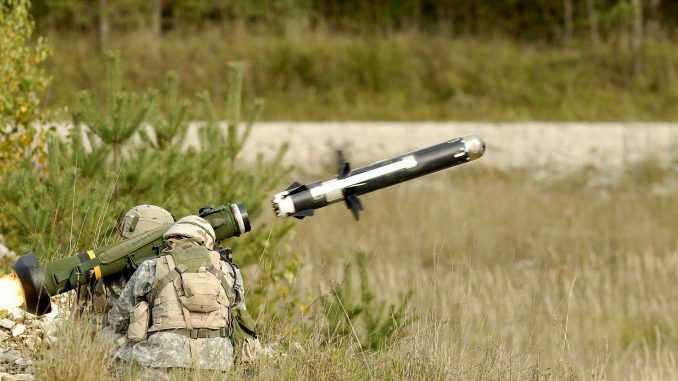 They might also include modern Javelin anti-tank missiles manufactured in the U.S., which Ukraine has long wanted to deploy in the east of the country. The U.S. had previously provided Ukraine with instructors and supporting materials. In addition, private US arms manufacturers were allowed to sell firearms such as rifles to Ukraine. The arms supplies could further worsen the relationship between the U.S. and Russia. However, the decision must be first submitted to the Congress, which then has 30 days to decide on the issue. The final decision will be made by U.S. President Donald Trump. The supplies have been promoted by the US “neocons”. Earlier, U.S. President Barack Obama had rejected the direct supplies of weapons to Ukraine. This decision strengthens U.S. support for the Ukrainian military in the fight against the separatists trained and armed by Russia. However, the Kremlin has denied the support of the rebels. The Russian government has also criticized the decision of the U.S.